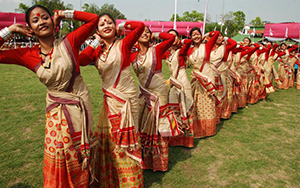 Bihu is the national festival of Assam, which is one of the beautiful places in India. Bihu is celebrated by the people of Assam in three stages according to the different stages in the farming calendar of the state. 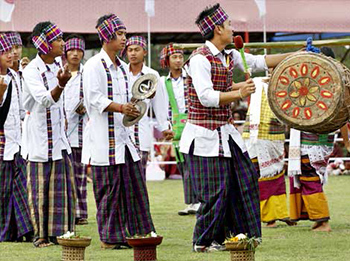 Celebrating Bihu together is the main attraction of the festival. You could invite your dear and near ones to celebrate the festive season together. Send out your invitations using an online invitation tool like Yoovite.Com to draft personalized invitations to all for the party. With the RSVP option you can also get a response back in time so that you can determine the number of guests beforehand. Bihu recipes are well known for its delicacy and one of the best things is that they are simple to be made at home. Some of the attractive dishes for the festival are Bihu Laddoo, Bihu Fish, Bihu Pitha, etc. These dishes would be the best choice to try out the flavor of Assamese cuisine. Bihu being the most important festival of Assam is celebrated with joy and abundance by all Assamese people irrelevant of their caste, creed, religion, faith and belief. Now you can make your Bihu celebrations easy with Yoovite by sending online invitations to your near and dear ones.